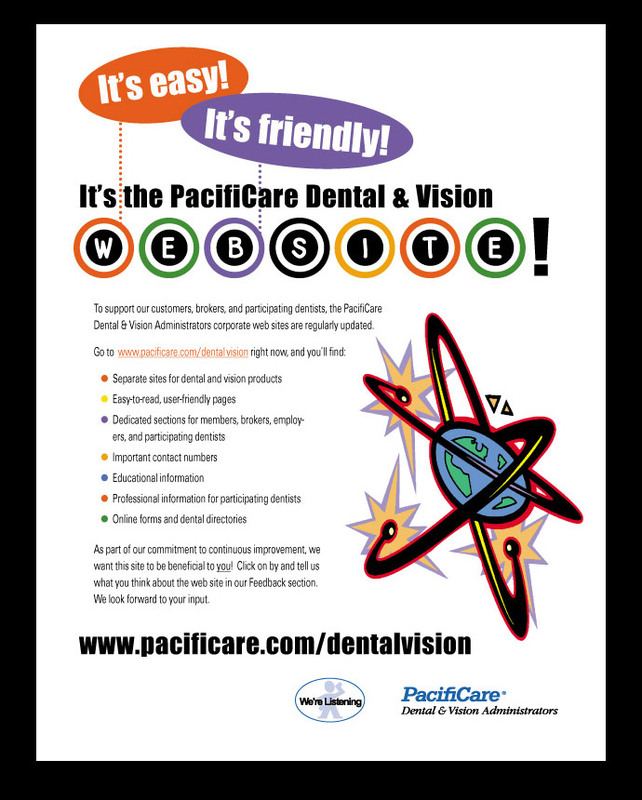 Flyer to promote launch of new website. Concept was a user-friendly, yet hi-tech feel. Simple shapes and bold colors gave an easy to access feel where bold type and atom graphic promoted technology. Original design with stock clip art.